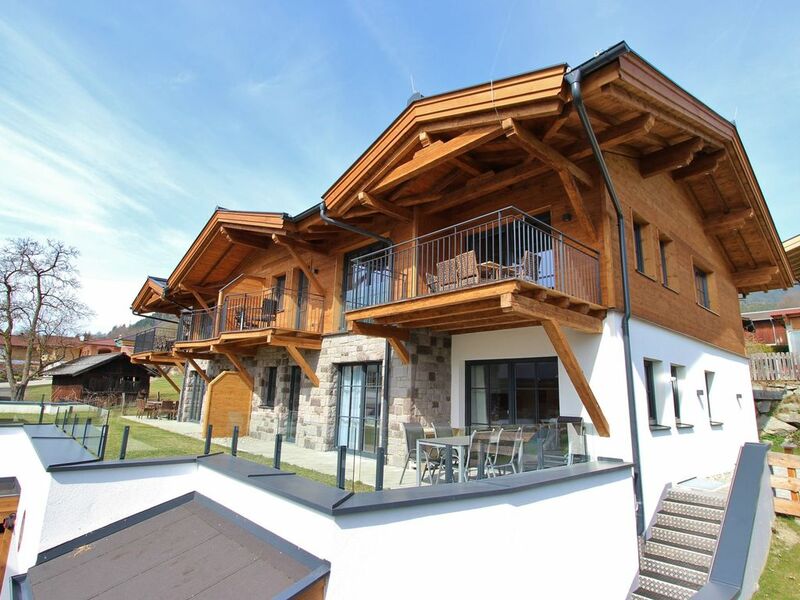 On the southern slope in picturesque Walchen (Piesendorf), a stone's throw from well known Kaprun and Zell am See, this very beautiful penthouse, built in 2016, is on the 1st floor. With its high ceilings, stylish wooden and natural craftwork in typical Austrian style, this penthouse also has a homely feeling. The living room with open kitchen offers plenty of space and has both a dining area and a seating area. The TV has a soundbar and there is a Playstation 4. There are 3 spacious bedrooms and 2 bathrooms that are all equipped to a high standard. After a day enjoying the snow, a good walk or a mountain bike tour, you can relax in the wellness area with a sauna. There is a space reserved for your car in the parking garage and your bikes can be left in the bicycle basement. However, there is also a parking space outside. Overall, a beautiful penthouse, which rightly deserves its 4 stars. The location of this complex is perfect, sunny, within short distance of Zell am See and Kaprun, central in Salzburg. Mooi appartement met mooie ligging. Apparemment très beau et bien situé pour rayonner dans la région. Wohnung ist sehr schön eingerichtet jedoch die Pfannen (Griff löse pfannenboden rund) und die Grundreinigung der Wohnung lässt zu wünschen übrig! DIE Ferienwohnung war genauso gut und schõn, wie in der Werbung. Der Zustand war hevorradend und die Hausverwaltung freundlich und zuvorkommend. Super mooie accommodatie. Schoon en zeer ruim opgezet. Omgeving prachtig. Skigebied binnen 5 a 10 min met de auto te bereiken.